As the nights draw in and the heating’s switched on, Getintothis’ Mark Rowley lines up his pick of autumn warmers for Manchester this October. With the Manchester Arena back in business after its grand re-opening event, featuring Noel Gallagher, The Courteeners and Blossoms amongst others, normality has resumed on a general level. That being said, there’s plenty to choose from for this month’s picks. The Neighbourhood Festival on Saturday 7th October at venues in Manchester city centre has been previewed elsewhere, so all that is required here is a brief mention to encourage one and all to get on it quickly, if not already done so. The festival is going to be huge and will showcase more up and coming British acts in one day, than some cities manage in over a decade. Stoke-on-Trent, with Megan McCann just announced to play The Sugarmill, we’re looking at you! There’s plenty more going down too. Not mentioning the best band in Greater Manchester and their new single launch at Gullivers on October 13, so we won’t; there are so many great nights in store, it’s difficult to even try to select a top 5. Reading shoegaze favourites, Slowdive bring their soaring, ambient dream-pop soundscapes to Manchester during the second week of October. Expect to hear songs from their self-titled, fourth studio album, which was released earlier this year. Singer Rachel Goswell and guitarist Neil Halstead form the nucleus of Slowdive, and have been friends since early childhood. They were part of the band which formed in 1989, disbanded in 1995 and reformed in 2014. The iconic Albert Hall is just about the best possible venue in the world you could hope to see Slowdive play live. 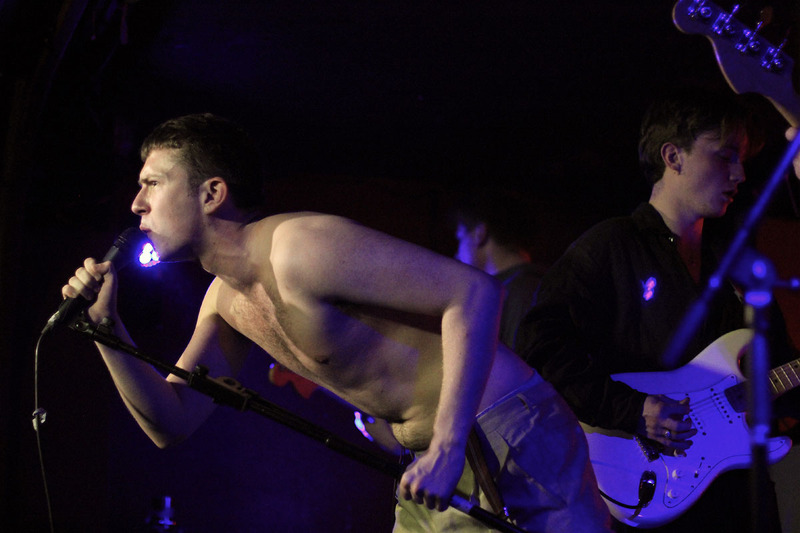 Continuing their endless tour of performances up and down the land (and beyond), South-London punks, Shame roll into town to take the Soup Kitchen by storm and promise to take no prisoners when there. With recent single, Concrete sounding every bit as good, if not better than their previous releases, expect to be both challenged and entertained. Every Shame concert should carry a Government Health Warning! You have the chance to go find out why. It’s difficult to categorize singer-songwriter and pianist, Nadine Shah’s music, so best not to try. Her recent album (released August 2017), the well-received, Holiday Destination will no doubt feature heavily during this set. Shah, born of mixed British and Pakistani parentage, is not shy of singing about the everyday injustices that surround us. And despite the gloom associated with such topics, Shah is an optimist, which shines through in her lyrics and music. 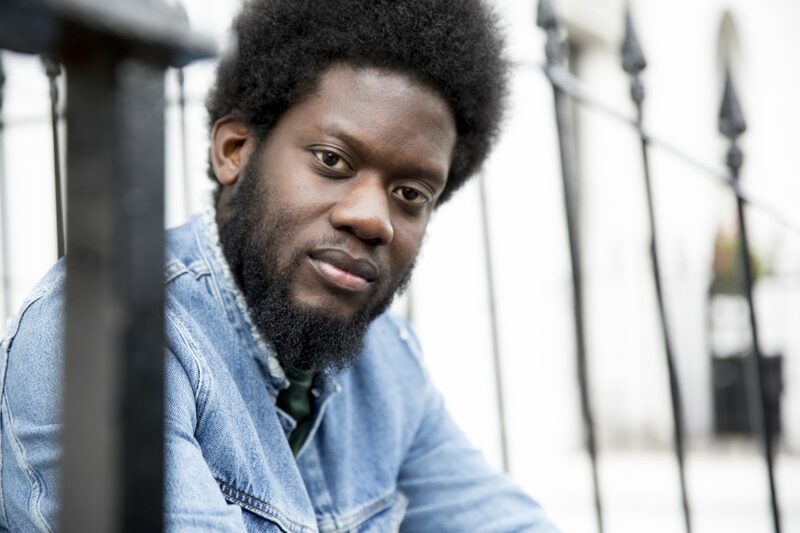 Singer-songwriter, Michael Kiwanuka is a black man living in a white man’s world. His influences include Otis Redding, Joni Mitchell and Richie Havens and he has been compared to Curtis Mayfield, Marvin Gaye and Bill Withers. Kiwanuka has released two albums, Home Again (2012) and Love & Hate (2016). The latter received wide critical acclaim and helped to establish him as a prominent soul singer and musician. The Lowry audience are in for a major treat. 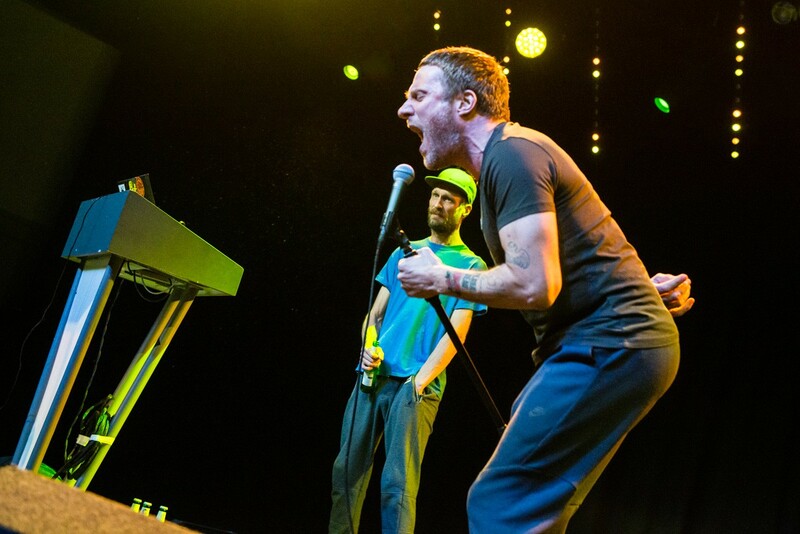 Everyone knows Sleaford Mods, except those who don’t. 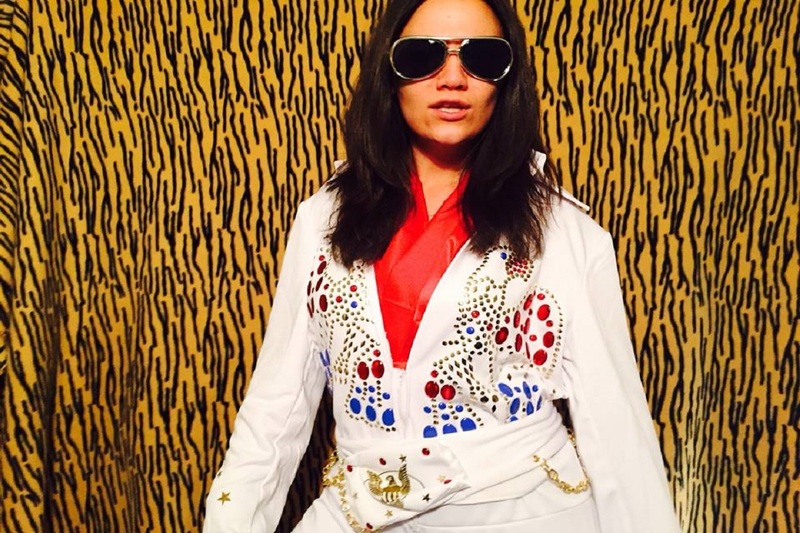 And if you don’t then it’s not too late to take a listen … or better still, go see ‘em live! Just about the most important act this island has produced in the last 10 years, self-professed ‘minimalist post-punk munt rockers’ Jason Williamson and Andrew Fearn are responsible for serving up the best English tapas-style smoking rhymes over enticing beats you’ll ever drink a warm can of Carling to. Essential listening and viewing. Don’t miss!